Oh my word! Where to start with this one - it has to be the funniest yet saddest book I have read all year. We all like a drink now and again, and we've more than likely all had that one drink too many where we don't remember how we got home yet wake up in our own bed. 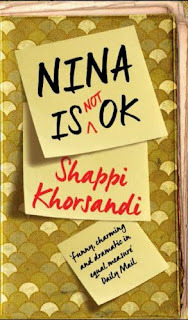 In Nina is Not OK, Shappi Khorsandi has written a dark and brutally honest account of one young woman's battle with alcohol. Seeing the effects on Nina's family will, I'm sure, make some people think twice about having 'just one more drink'. Nina, at 17, is at the in-between age of child and adult; she thinks she's old enough to make decisions but she doesn't realise that her mum still knows best. She lives with her mum, Sandra, step-dad, Alan, and half-sister, Katie, who she adores. After reeling from the break-up with her boyfriend, Jamie, Nina turns to alcohol to drown her sorrows. On a night out with her friends, Beth and Zoe, Nina gets thrown out of a club and ends up going home in a taxi completely out of her head with her knickers in her hand. Nina can't remember what happened but thanks to the wonders of social media a video gets posted to fill in the blanks. Nina's mum is at her wits end, having seen the devastating effects of alcoholism when she was married to Nina's dad, who unfortunately died. So when Alan gets offered a job in Germany they arrange for Nina to live with her friend Beth and her dad, Max. Max is unable to cope with Nina's binge drinking so Sandra returns from Germany to put Nina in rehab. As Nina gets the help she needs, she realises that she's not to blame for what happened that night and she didn't ask for it. There's only one problem, the guy she was with that night, Alex, is now going out with her friend, Zoe. So raw, emotive and powerful, Nina is Not OK is as addictive to readers as alcohol is to an alcoholic. Written with such honest humour that you laugh at times and then guiltily realise that it's really not funny, not for those who live with alcoholism. When Nina bumps into the kitchen wall, I was reminded of a scene in Absolutely Fabulous when Edina and Patsy visit a vineyard in France and Edina complains that someone has stolen her steering wheel. It's that kind of brilliantly dark humour. I would definitely recommend Nina is Not OK to all book lovers - it's one of the best books I've read this year. 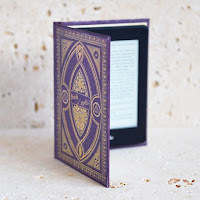 I received this ebook from the publisher, Ebury Press, via NetGalley in exchange for an honest review.